Have I mentioned that the mister and I are going to Disneyland Paris at the end of the month??! My inner child is so freakin’ excited! Oh and another place that we are going to is the lovely country of the Philippines. I cannot wait. For this trip, we are not taking the traditional route of flying. We are taking the bus! Well not all the way from the UK of course. As we will be travelling between Cebu to Dumaguete, the cheapest option would be to get the bus. This, alongside going to Disneyland is going to be the best year ever. But I don’t think I’ve shared the story of how Nick and I got together so here’s a little summary – sorry guys, I’m not very good at story telling. 8 years ago, when we were both still in school we had a trip to Disneyland Paris for business studies and IT, we did very little study and it was a whole lot of fun (it genuinely was the best school trip ever) and on the way home from Disneyland, Nick officially asked me out. I hesitantly said yes as I didn’t want to lose a good friend (if our relationship didn’t work out) but there was definitely something more there than just friendship and 8 years later we’re still together. I really can’t believe we’ve been together 8 years, it has gone so quickly, and I can’t image life without him. For our 8th Anniversary we decided to go back to Disneyland Paris! I can’t remember the last time Nick had a day off on the weekend and it’s been majorly getting to me. I’m content spending time on my own in moderation but it’s been too much recently so I think I’m most excited to spend quality time together! 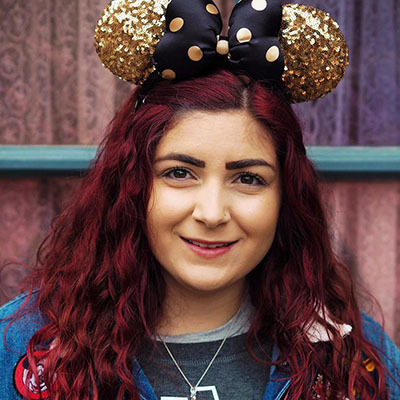 Since we booked our trip I’ve become a little obsessed with Disney accessories so I thought I’d share what I’ve brought. Primark has been great for finding cute little Disney bits. The Disney Minnie Mouse Make Up Bag (£4) was my first purchase as I thought it would be the perfect size for my travel make up. 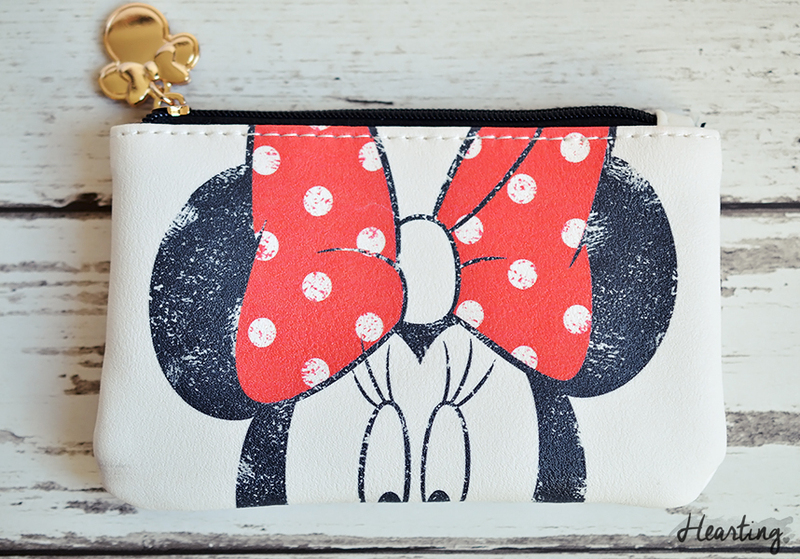 I couldn’t resist the adorable Disney Minnie Mouse Coin Purse (£3) as it’s just so cute and looks much more expensive than its price tag. 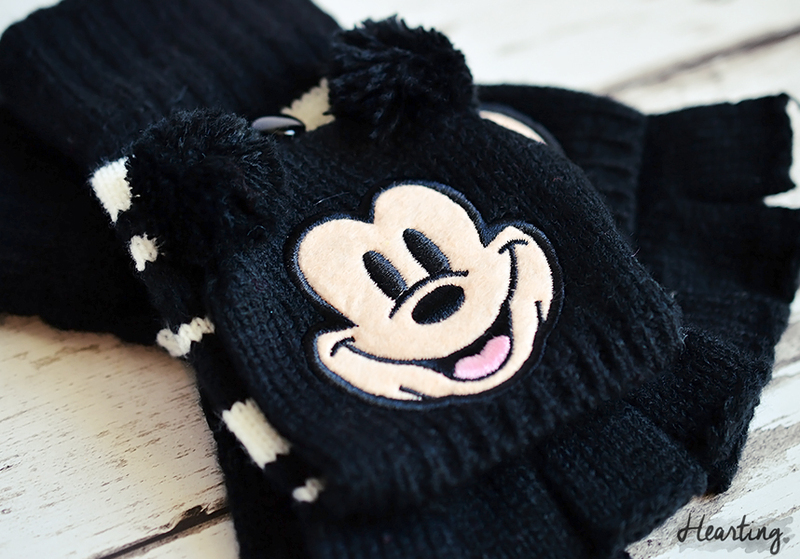 The Disney Mickey Mouse Gloves (£2) were such a bargain and I thought they’d be perfect for keeping my hands warm while we’re there. The Disney Push Pins (£1) were too sweet not to pop in my basket and I can use them for my notice board at work. 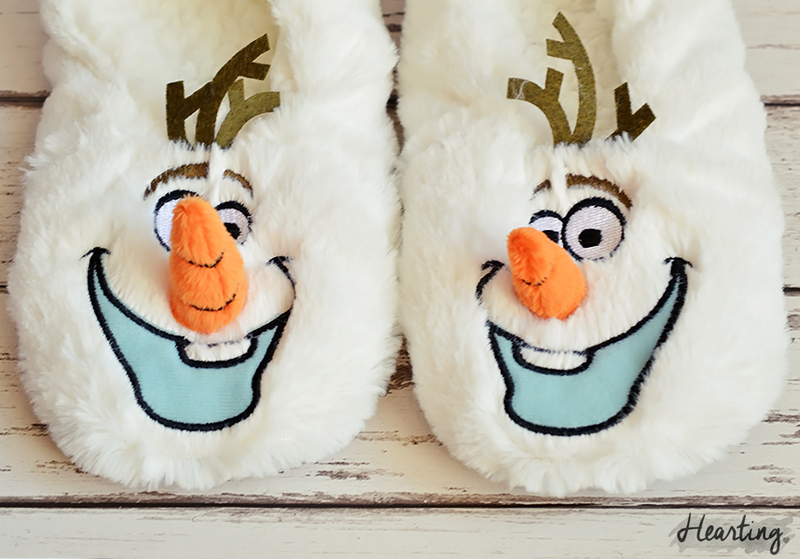 Frozen is one of my favourite Disney films so when I spotted the Frozen Ballerina Slippers (£4) I just had to have them. Whenever I see an Olaf I always think “I like warm hugs” haha. I also purchased the Frozen Pocket Tissues (90p) because tissues always come in handy. Lastly from Primark I brought some Disney Trainer Socks (£3.50) because, well, why not? I have fully taken advantage of Uniqlo’s January sale as they have had some amazing Disney clothes. One of the items I brought in their sale were the Disney Socks (£4.90) as I thought the designs were seriously sweet. In Poundland I spotted the Winnie The Pooh and Piglet Reusable Bag (£1) and thought it might be useful to have a reusable bag with us. I came across the OPI Minnie Mouse Couture Nail Polish Collection and just had to have one to wear while we’re in Disneyland. 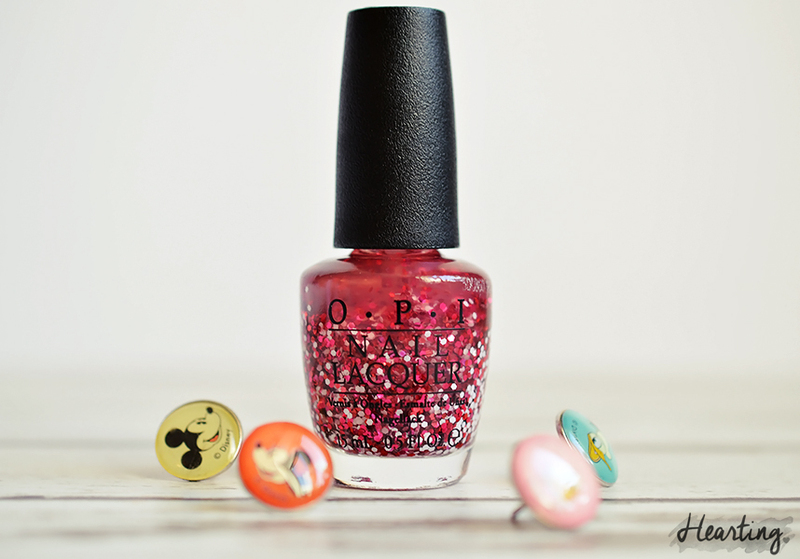 I opted for OPI Minnie Style as it looks like such a fun nail topper! Look out for a nail post where I’ll be featuring this at the end of month. As you can tell, I like to shop to a theme and recently it has been all about Disney! 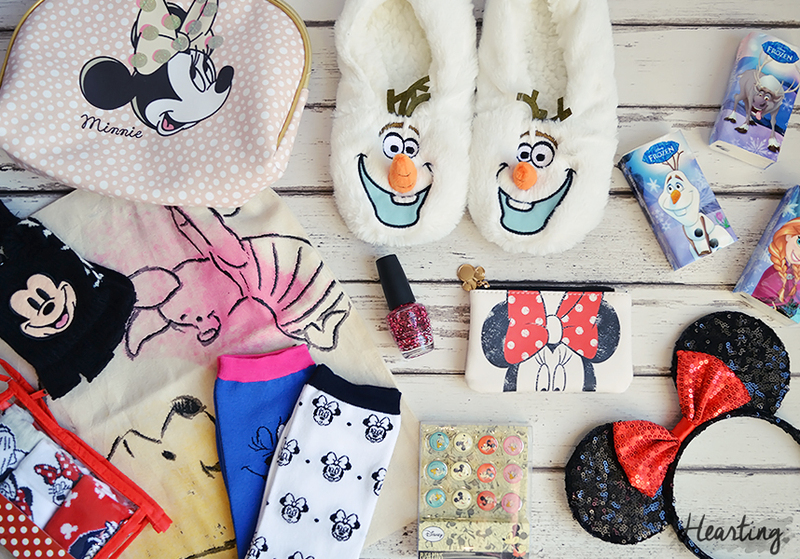 Have you purchased any cute Disney bits lately? I’d love to hear all about them.